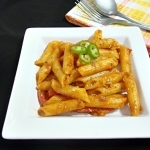 This recipe is adapted from BHG.com, however the ingredients were slightly changed as per availability at the time of preparation & as per taste. 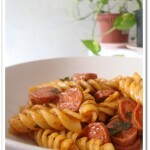 Anyway this is a delicious pasta recipe, especially for pasta lovers. It is very easy to prepare within few minutes. Ginger & peanut added the extra taste to it. 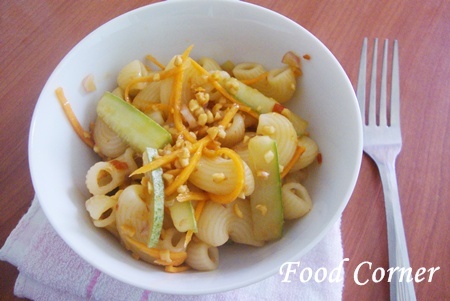 Cook macaroni as per package directions. Meanwhile, in a jar, combine oil, rice vinegar, sugar, soy sauce, ginger, and hot pepper sauce. Cover and shake to combine. In a large bowl, combine pasta, cucumber, carrots, pepper, onions. Add dressing, and toss gently to coat. Cover and chill for 2 to 8 hours. 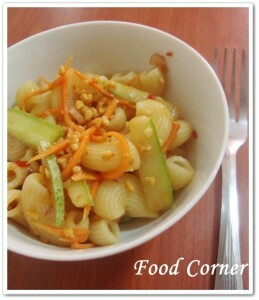 To serve, sprinkle the salad with chopped peanuts. 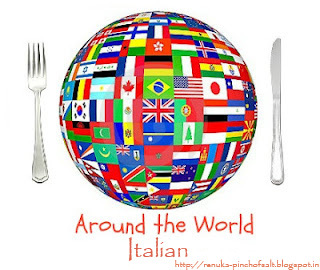 Link with Event: Around the World – Italian started by Rasoi the kitchen. 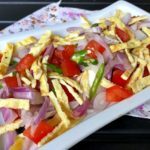 Yummy salad….first time here…happy to follow…pls do stop by mine and follow too…. Hi Amy, First time to ur space.. Very nice one happy to follow.. 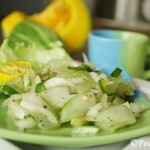 I love this salad..
Amy I want a double portion of this. 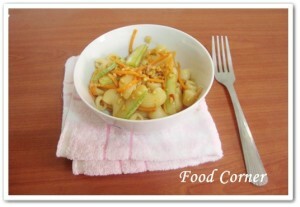 The salad looks very yummy. 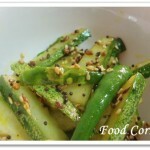 I love the way you have cut the vegetables in the salad.